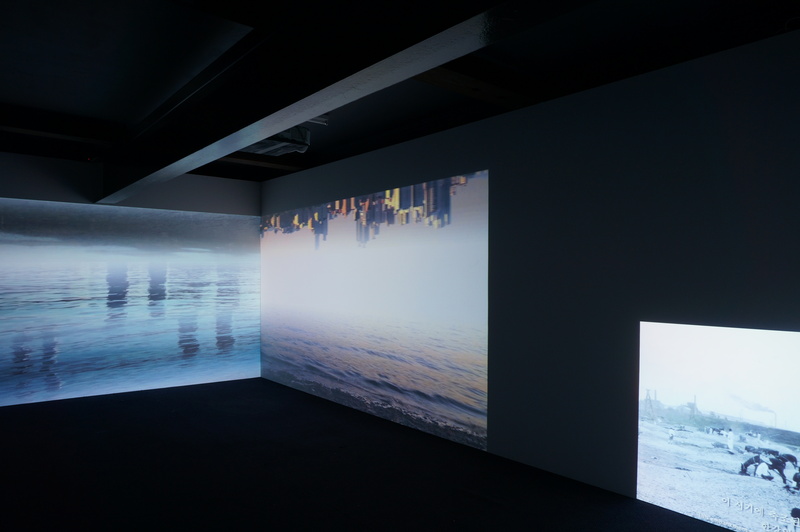 From the 5th to the 28th November, MAAP presents Sim Cheol-Woong’s An / other River at MAAP SPACE as part of LANDSEASKY, MAAP’s international touring exhibition. SIM CHEOL-WOONG (b. 1958, South Korea) works predominately in digital video and often employs special effects in his videos. 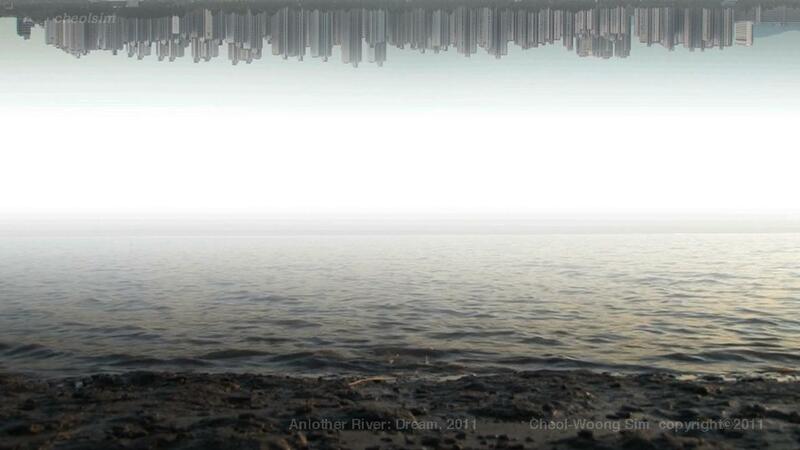 In An/other River (2011) displayed in LANDSEASKY, Cheol-Woong grafts together two sides of a river. At the top of the screen, the image pans along the Han River in Seoul showing a relentless length of high-rise development on the south bank. The bottom half of the screen shows video of the river lapping onto the northern riverbank, captured at a static position. Formally, the work references traditional Korean ink painting that uses a bird’s eye perspective. However, as cued by the imagery of skyscrapers, it is modernization that Cheol Woong speaks to, and in particular, the loss of the traditional cultural landscape as another twist in Korea’s dramatic history. 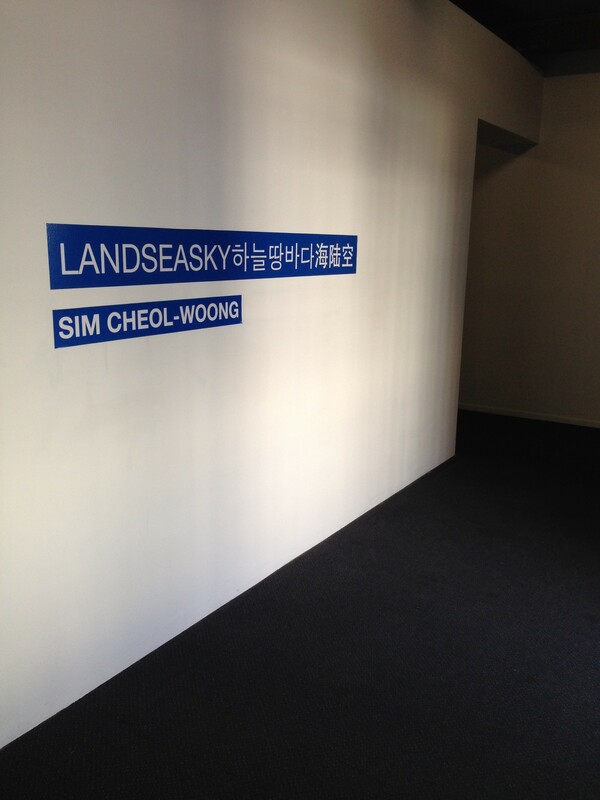 All images from Sim Cheol-Woong exhibition at MAAP SPACE, Brisbane.